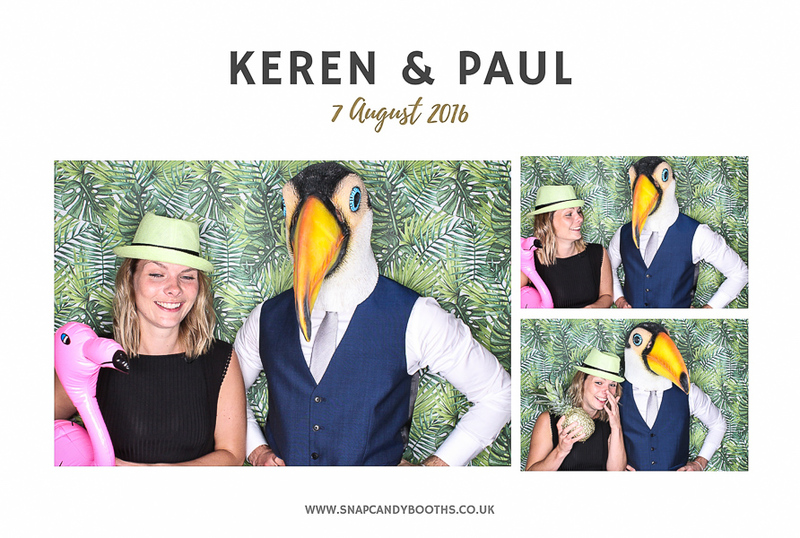 It was a very short trip down the road for us on Sunday when we went along to The West Mill in Darley Abbey for Keren and Paul’s wedding. The first time we’d been to The West Mill and it certainly didn’t disappoint! What a breath-taking place! 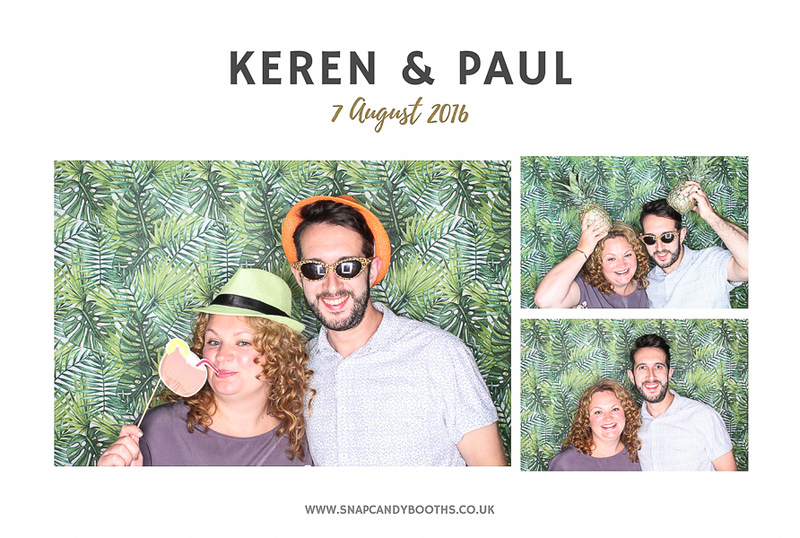 Karen & Paul had booked a BoothPod for their wedding with a fabulous palm print backdrop which she told us was perfect as it tied in with the theme of her hen party. 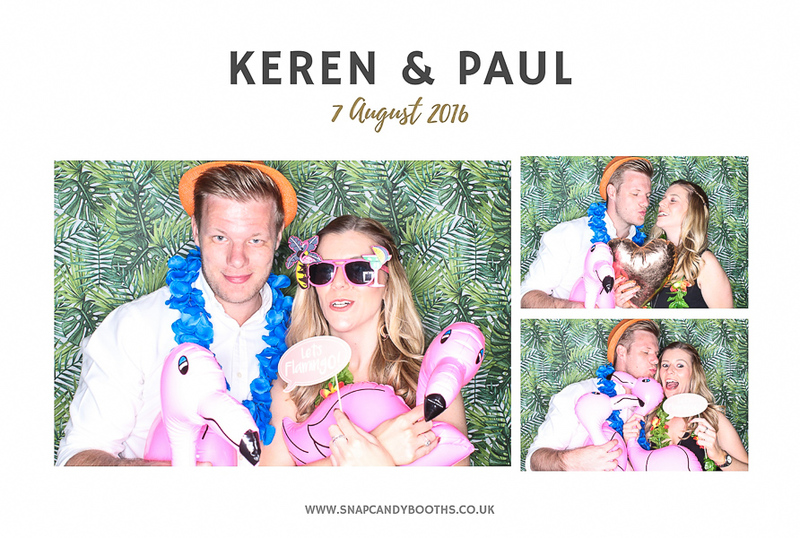 Along with the palm backdrop we also supplied a range of tropical props for everyone to have fun with. We even bent our rule on no inflatables to include some super cute flamigos! Hand painted golden pineapples completed the collection! 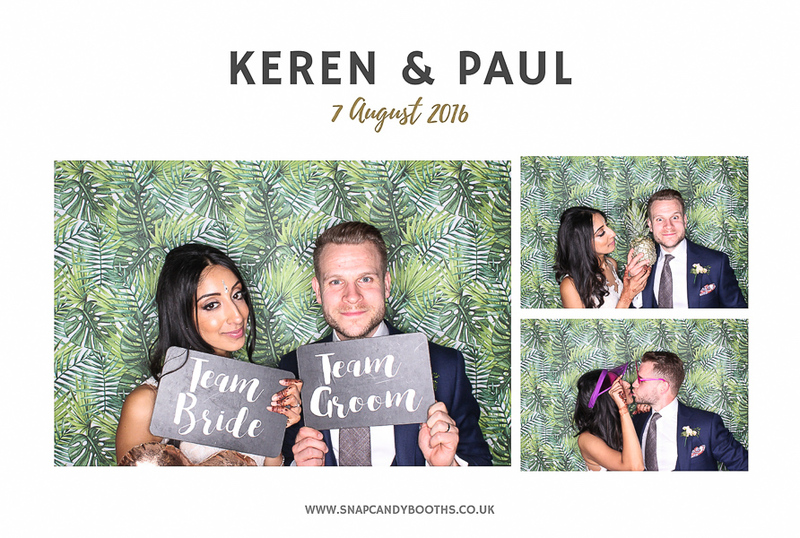 We used Keren and Paul’s wedding invites as the inspiration for their BoothPod print design which looks so stylish. The West Mill is a super venue located at the Darley Abbey Mills which is a World Heritage site. With the most gorgeous exposed brick walls they make the perfect backdrop either left as they are or dressed with anything you like, ribbons, pom poms, fans, garland, tassels – if you can dream it up it can probably be done! 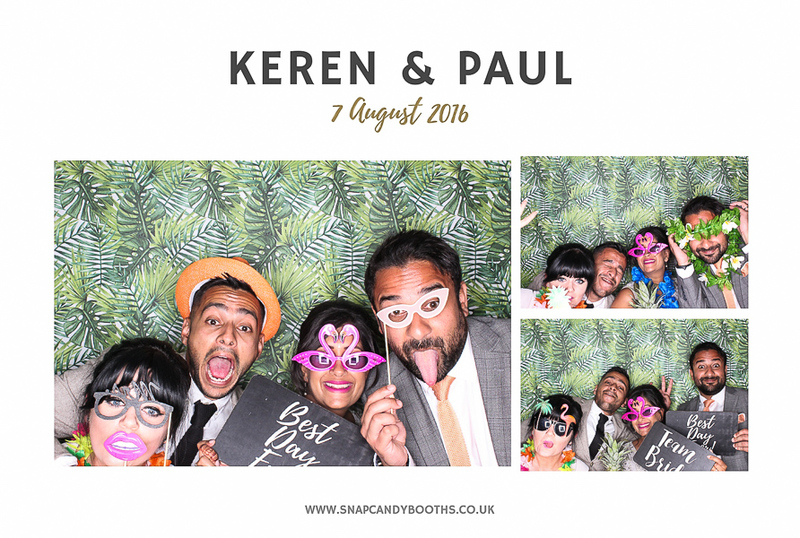 Using a Snapcandy BoothPod in the venue still means your guests have the same experience of ‘pressing the button’ themselves and watching their photos print instantly but the Pod is more discreet and allows a more unique and creative booth experience for your wedding. If you’re getting married at The West Mill do get in touch and talk to us about how you’re styling your wedding, we’ll be able to help make suggestions about how a BoothPod can entertain your guests in the evening whilst looking fabulous in this amazing venue!